If you send and print full pages appear blank, I recommend the following procedure, if you have any questions, type a comment. Is possible that our Canon printer make a habit print pages completely blank, this problem can put us both pocket like and crazy mind, especially when we verify that the ink cartridge has a good level or that the cartridges were recently placed new to the printer. A new cartridge can print blank pages, the printer will be heard by the printing process and blank pages as the final result. We will try to eliminate the possibilities starting with the ink cartridge, it is logical when the printer injects not ink on paper is problems with the cartridges, which is the first attempt to unclog cartridges, or change the ink cartridges with new ones or remanufactured as possible. Checked all possible problems with the printer cartridge and still gives us completely blank pages, then we must consider problems with the printer software. What will be done first is to uninstall the printer drivers and other software manufacturer, then go to the official website of the printer and downloading drivers for your printer. When you have installed printer try to print again, if the problem is resolved obviates the next step, otherwise do your best to perform all maintenance processes in the printer properties. This is achieved in printers > properties > maintenance. 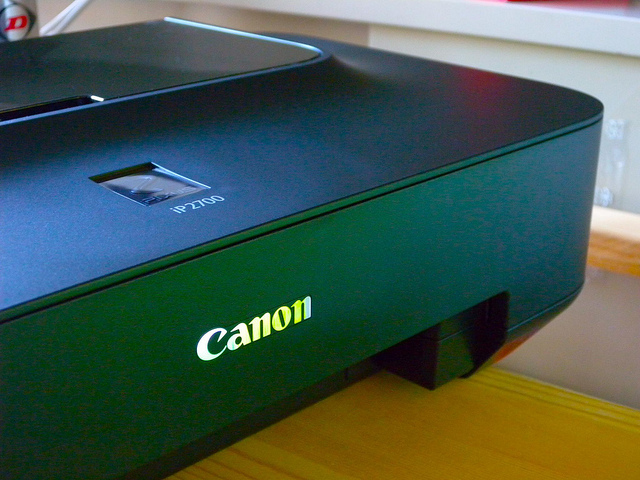 If you have not solved the problems of blank pages in Canon printers you must take your printer with Canon technical support, first checking if the printer is still in warranty. Something important: if you have made any adaptation and ink system or printer cartridges refilled warranty may not apply. This process is for printer ink, was not available for technology laser printers.